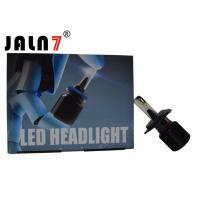 H13 , Hi-Lo Beam ( 25W@high beam , 25W@ low beam) . 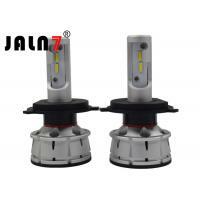 H4 , Hi-Lo Beam ( 25W@high beam , 25W@ low beam) . 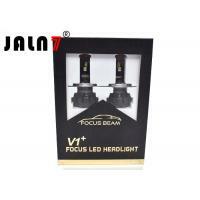 9004 , Hi-Lo Beam ( 25W@high beam , 25W@ low beam) . 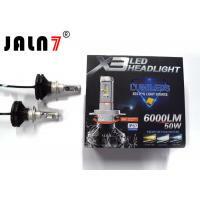 9007 , Hi-Lo Beam ( 25W@high beam , 25W@ low beam) . 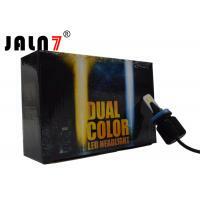 9006(HB4) , single Beam (50W/set , 25W/bulb) . 9005(HB3) , single Beam (50W/set , 25W/bulb) . 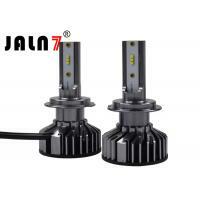 H11 , single Beam (50W/set , 25W/bulb) . 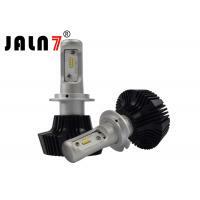 H7 , single Beam (50W/set , 25W/bulb) . 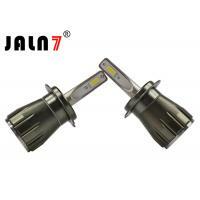 H1 , single Beam (50W/set , 25W/bulb) . H3 , single Beam (50W/set , 25W/bulb) . 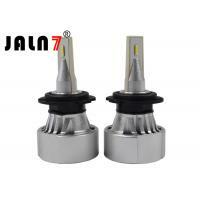 9012,single Beam (50W/set , 25W/bulb) . Just Google you vehicle make model and year followed by "Headlight bulb number " . -Types the YEAR , CAR NAME , SELECT A CAR MODEL , then , you will get an answer . Just choose the One fits your car . Or ask a question , then , we will reply to with exact answer with you shortly . 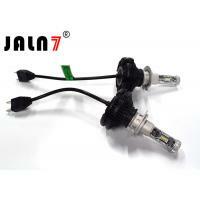 LED headlight is the upgraded version light based on the halogen light and HID kit . Well-spread beam pattern and anti-glare body , these led headlights for cars offer consistency like never before Driver can see farther , wider , clearer , safer , crystal clear , ensure enjoyable driving especially in night . Refuse the yellow lighting and dazzling effect and friendly with the cars coming in the other directionIncrease your safety . High-Power LED Headlights generate heat , which can be damaging to their circuitry Requires extra space behind the headlamp . 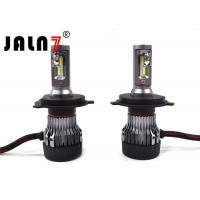 Because they lack bulky fans and braided heat sinks , X3 Version headlights don't require as much space as other LED headlight bulbs , but a mounting area is required for their external drivers . Excellent aerospace aluminum , high thermal conductivity , high heat dissipation , heat sink fits the design of the installation environment more, save space . Upgraded heat sink cooling method without fan , Instead of turbo fan , one-piece integrated has better heat conduction . 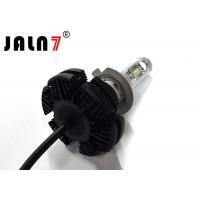 6-piece flower heat sink design offers wider dissipation area to dissipate heat away from LED circuit quickly . When the temperature is higher than the limit on the day, the current is automatically reduced to reduce the temperature of the lamp , so that the temperature of the lamp is within a safe range , the headlights are effectively protected , and driving safety is improved . Easy to install -- All-in-one design makes it easy to install . Plug and Play . 360 degree clear beam no blind zone.LED headlight conversion kit LED chips from world-leading brand , excellent beam intensity without black spot . allow a great distance for you to see and be seen in all weather conditions . Product must be installed by professional person . Before installation , please disconnect vehicle battery negative . Please check the wiring after installation , If have any problem please don't hesitate to contact us . If you have any questions please contact us in time . If this item can not work well , please contact us in email first . All of our products are manufactured under the strictest quality control . Please note that some cars , such as the 2007+ Dodge , Chrysler , Jeep , BMW , Mercedes-Bens requires the decoder (warning canceller) to be installed together to avoid the Flicker and warming . Please check with us if your car requires CANBUS before purchasing ! !